The huge, gorgeous royal palm tree is thought of by many as the world's most beautiful palm. 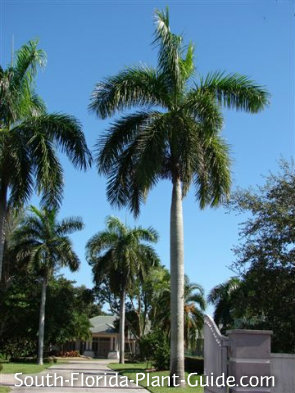 This big beauty is the classic South Florida palm tree and a Florida native. 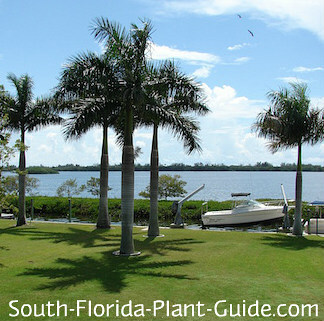 A royal palm grows at a moderate speed up to 80 feet. 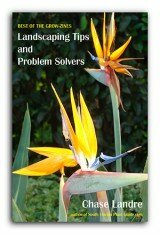 It will take partial shade but is happiest in a full sun location in Zone 10B and warmer areas of 10A. This is a moderately salt-tolerant palm, and it's moderately drought-tolerant as well, once it's established, though it will benefit from regular watering. Plant royals no closer to the house than 8 feet to allow room for the fronds to spread out and not be damaged by touching walls. You want to come out with enough distance that falling fronds don't damage anything (including people) underneath. Space these palms 8 to 10 feet apart when planting in a row. COMPANION PLANT SUGGESTIONS: Selloum philodendron, bougainvillea, dwarf fakahatchee grass, oleander, yellow elder, and firebush.